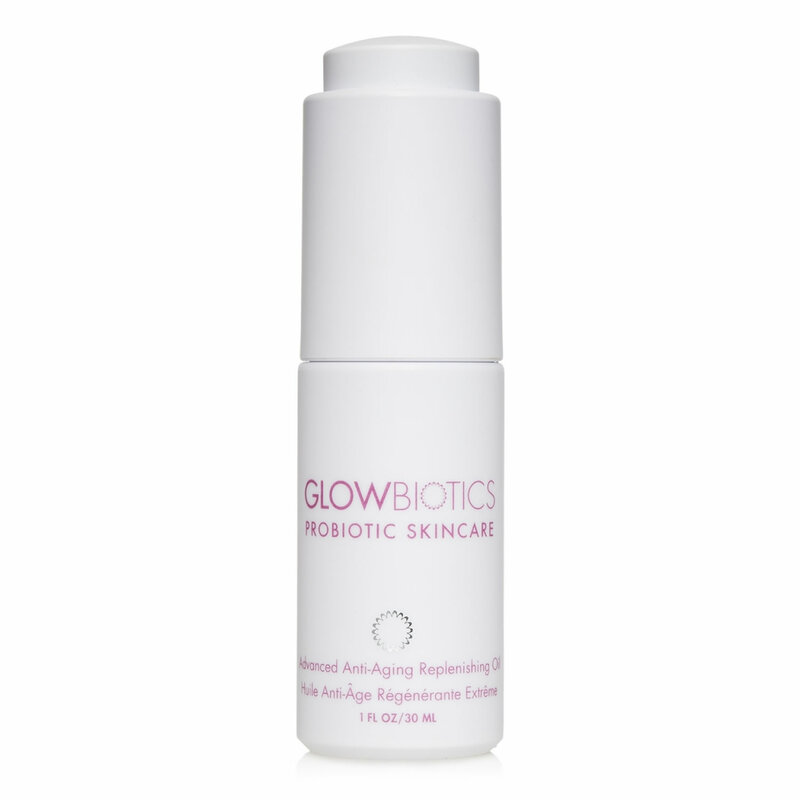 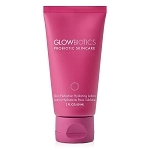 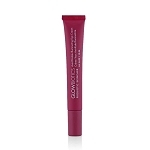 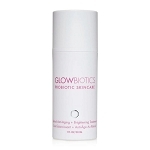 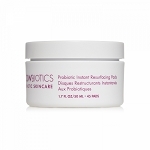 GLOWBIOTICS Advanced Anti-Aging Replenishing Oil is best suited for dry, compromised, mature and dehydrated skin. 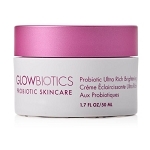 Use AM/PM. 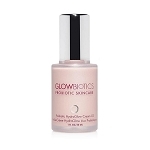 Dispense oil in palm of hand and apply to face using fingertips. 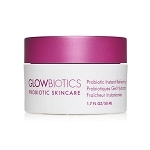 Use alone or beneath moisturizer for boosted hydration. 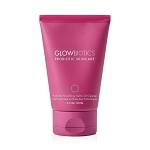 Can also be used on cuticles, dry elbows or heels and frizzy dry hair. 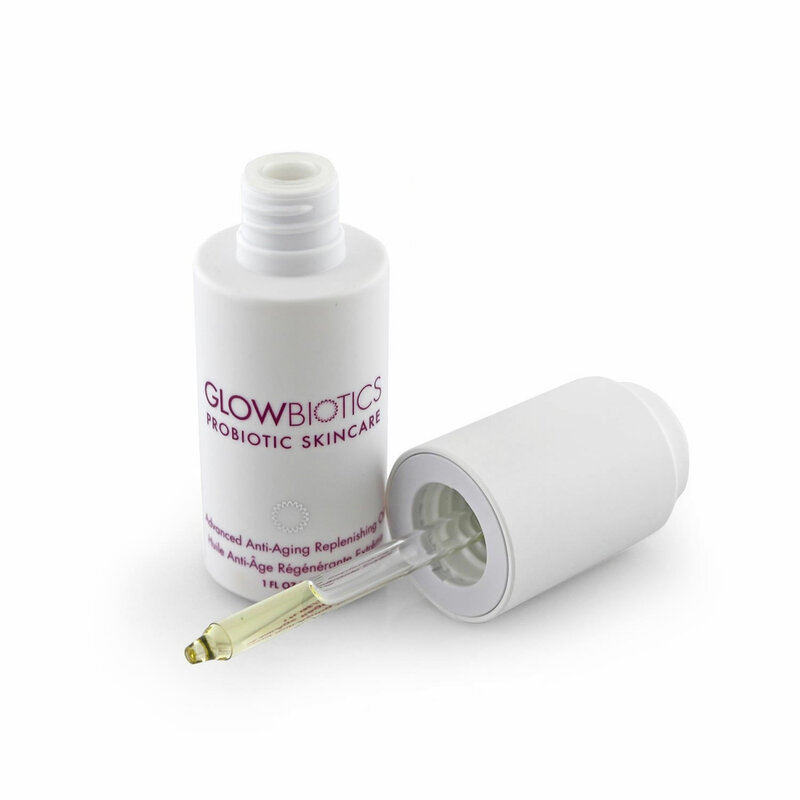 Coco-Caprylate, Tetrahexyldecyl Ascorbate, Caprylic/Capric Triglyceride, Cannabis Sativa Seed Oil, Crambe Abyssinica Seed Oil, Oryza Sativa (Rice) Bran Extract, Bakuchiol, Oenothera Biennis (Evening Primrose) Oil, Salvia Hispanica Seed Oil, Parfum (Fragrance), Calophyllum Inophyllum Seed Oil, Borago Officinalis Seed Oil, Rubus Fruticosus (Blackberry) Seed Oil, Citrullus Lanatus (Watermelon) Seed Oil, Passiflora Edulis Seed Oil, Hippophae Rhamnoides Oil, Solanum Lycopersicum (Tomato) Seed Oil, Vaccinium Macrocarpon (Cranberry) Seed Oil, Dimethylmethoxy Chromanyl Palmitate, Bacillus Ferment, Palmitoyl Tripeptide-38, Lycopene, Ubiquinone, Plukenetia Volubilis Seed Oil, Rosmarinus Officinalis (Rosemary) Leaf Extract, Brassica Campestris (Rapeseed) Sterols, Squalane, Tocopherol, Tocopheryl Acetate, Bisabolol, Cetylhydroxyproline Palmitamide, Portulaca Pilosa Extract, Helianthus Annuus (Sunflower) Seed Oil , Helianthus Annuus (Sunflower) Extract, Sucrose Cocoate, Ascorbyl Palmitate, Hexyldecanol, Cetearyl Ethylhexanoate, Sorbitan Isostearate, Stearic Acid, Teprenone, D-Limonene, Benzyl Benzoate, Citral.